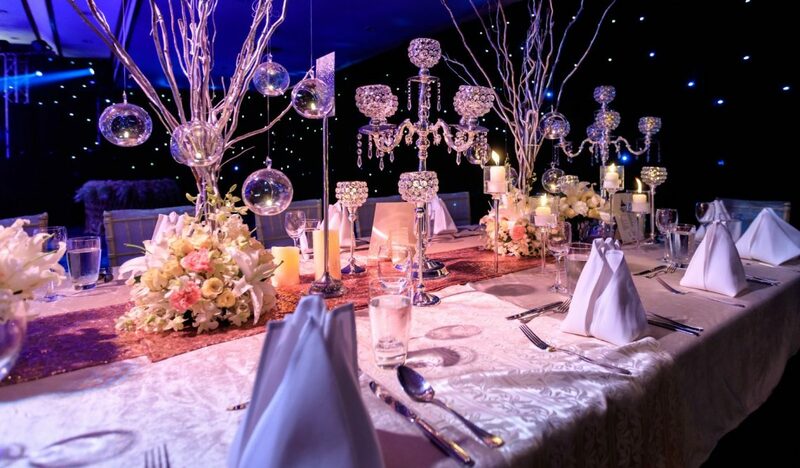 How an evening wedding can help to cut costs but is it the right choice for you? If you are in the position of having to stick to a strict budget, you might have come across the idea of an evening wedding. In short, will an evening wedding save or cost you money? The average cost of a wedding in the UK is a mind-boggling £25,000. So it’s no wonder couples are looking to alternatives in order to bring the price down. Some experts state that having an evening wedding saves on food and drink, as you will only be catering for one meal or buffet. Others say there’s really no difference between the two. On the other hand, with an evening wedding, you don’t have the full day to celebrate. Here are the pros and cons of an evening wedding. Undoubtedly holding your wedding in the evening will save on food and drink. Specifically, you will not have to provide wedding breakfasts, canapes in-between the wedding and the reception. All you need to give your guests is one lot of food, either a sit-down meal or buffet. If you hold the wedding during the day you’re going to have to provide your guests with food nonstop throughout the whole day. Having it in the evening will save you hundreds of pounds in the long run. It also means that your guests have longer to get ready, longer to travel to the wedding and it could save them money as well. For example, consider guests that live a long way away that have to attend a morning wedding. For those that live very far away, it might make more sense for them to travel overnight to ensure their attendance. Consequently, these guests are going to have to fork out for overnight accommodation. Having an evening wedding gives your guests plenty of time to get to the venue. Furthermore, it’s more than likely that they would have eaten during the day too. For the cheapest way of holding an evening wedding, have the ceremony late at around 7 pm. You can then hold a buffet or sit down meal with toasts for the couple provided. Later on in the evening perhaps offer a paid bar. Obviously, couples want to make the most out of their important day. Typically this means having the whole day to celebrate their wedding. Having an evening wedding means that most of the day has gone by the time you get to the nuptials. However, there are ways that you can still make the most of the day. You can pay lots of attention to the getting ready process for instance. Why not video the bride and groom getting pampered and have that as part of the wedding day celebrations? Despite the many savings you can make by having an evening wedding, there is one area that is going to cost you more money. Having an evening wedding means that you are going to have to hire a professional photographer. This is because the light in the evening is much different and makes it difficult to photograph. Ideally, the best light of the day is in the morning or midday. In other words, unless you have someone who is an expert in photography it’s possible that your wedding pictures won’t be the best quality. Remember, your wedding pictures are going to be treasured throughout the years and shown to your children and family and friends. It would be such a shame if they were not taken professionally. There is definitely an argument for having an evening wedding. Although this may be true, consider there are many other ways of costing a wedding on a budget. For example, if you want to get married during the day think about saving money on venues that are seldom used out of season. Or why not do the catering yourselves? Equally, you can compromise and have the wedding pictures taken in the morning and then carry onto the ceremony in the evening. It all depends on what is most important to you and your partner.